The place is amazing. The apartment was cleaned every day. It was so quiet, and close to everything, restaurants and the beach. The hosts were so polite and lovely. I would definitely come back again for a holiday at this property. Highly recommended for everything. 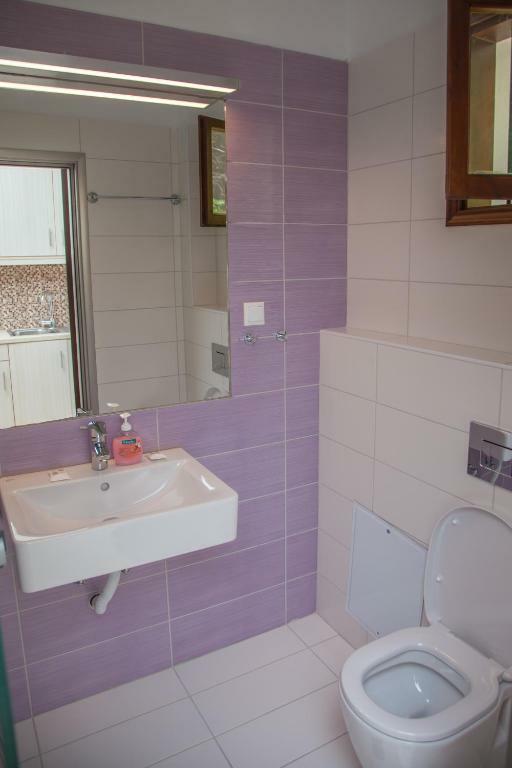 The apartment had an amazing bathroom and a very nice view to the whole port of vassiliki. Wonderful place, everything was perfect and the hosts are very kind and warm people. The old Captain speaks very good English. The rooms are clean, the furniture is new and the sea view from the balcony is great. The location is perfect, as all the restaurants and the bars are within 3 minutes walk from the property and at the same time the place is quiet and far enough from the noisy streets. We would definitely go there again. Thanks for everything! 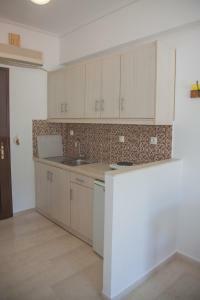 Apartments were in excelent location, the staff was very friendly and helpful. Would totally stay again and recommend to others. From the welcome to the location to the apartment. It's a little bit of heaven in Vassaliki. A fantastic location only a minutes walk from the beautiful harbour area. Would stay again and again. Very nice host, made me feel welcome and kindly helped me with everything I asked. Lovely view of the port from the balcony, clean room. Very comfortable bed. Nice view from room. Nice garden. The room was cleaned daily. A lovely, clean, simple family-run hotel. We will definitely be back! 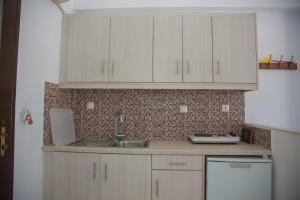 Excellent location, completely new building, very nice garden, 100 % greek style, perfect host. Lock in a great price for Captain's Studios – rated 9.5 by recent guests! One of our best sellers in Vasiliki! Featuring free WiFi and air conditioning, Captain's Studios is set in Vasilikí. 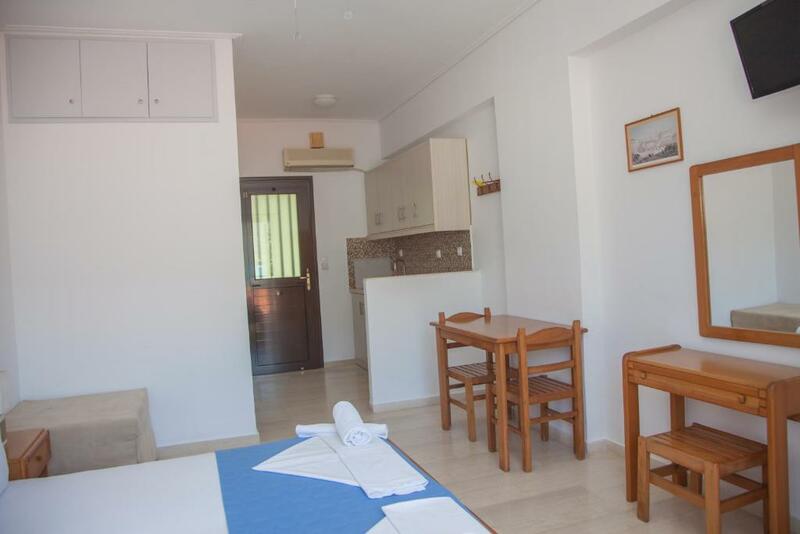 Vasiliki Port is 150 feet from the property. Free private parking is available on site. The accommodations is fitted with a flat-screen TV. 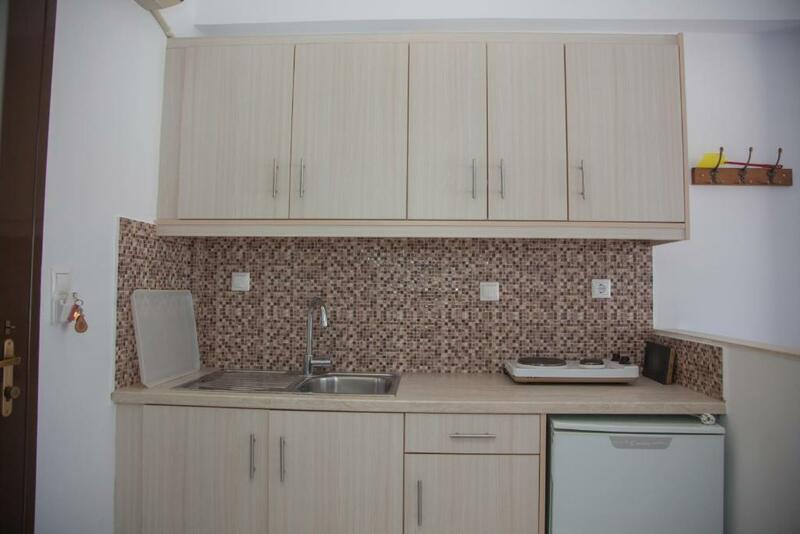 All units include a kitchen equipped with a fridge and stovetop. 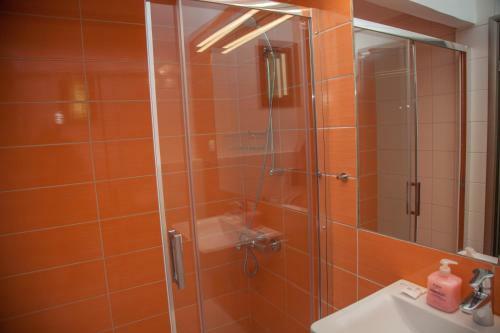 Each unit is equipped with a private bathroom with a hairdryer. Bed linen is featured. Captain's Studios also includes a barbecue. Vassiliki Beach is 1,000 feet from Captain's Studios, while Agiofili Beach is 1.4 mi away. The nearest airport is Aktion Airport, 22 mi from Captain's Studios. 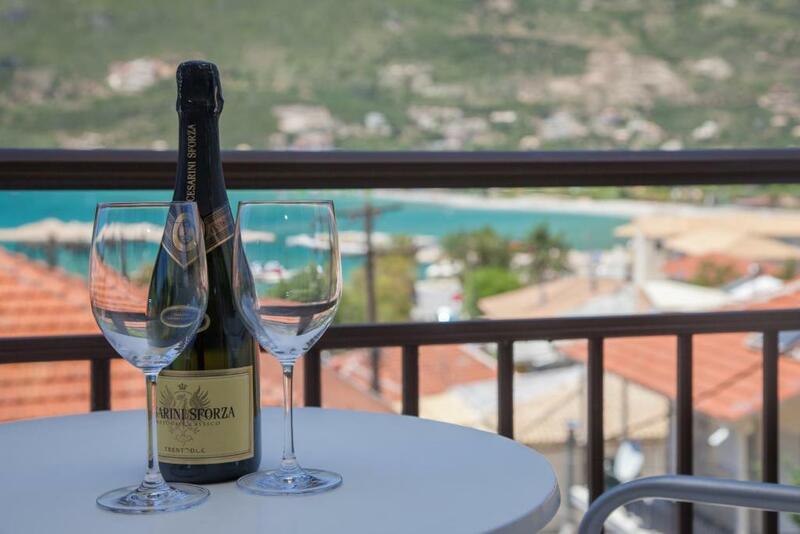 This is our guests' favorite part of Vasiliki, according to independent reviews. 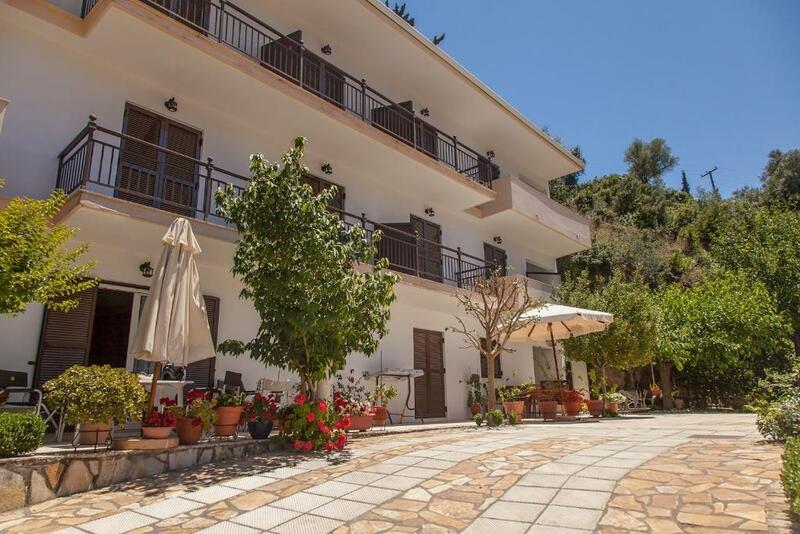 This property also has one of the top-rated locations in Vasiliki! Guests are happier about it compared to other properties in the area. This property is also rated for the best value in Vasiliki! Guests are getting more for their money when compared to other properties in this city. 뀐 Located in the top-rated area in Vasiliki, this property has an excellent location score of 9.7! When would you like to stay at Captain's Studios? This studio has a balcony, stovetop and tile/marble floor. Please note that the sofa bed can accommodate maximum 1 guest. Τα σύγχρονα ενοικιαζόμενα δωμάτια CAPTAIN'S STUDIOS βρίσκονται στο ωραιότερο σημείο της Λευκάδας, στη όμορφη Βασιλική. Βρίσκονται στο κέντρο του χωριού, μέσα σε πολύ πράσινο, με έναν υπέροχο κήπο με δένδρα και πολύχρωμα λουλούδια, σε χώρο 1500 τ.μ., και απολαμβάνουν απόλυτη ησυχία. Απέχουν σαράντα μόλις μέτρα από το Βενετσιάνικο λιμανάκι με τα κότερα, το φούρνο, και γύρω γύρω στο μουράγιο, τις καφετέριες, τις ταβέρνες, super-market, αλλά και όπου οι περίπατοι - βόλτες των επισκεπτών μας. Οι τέσσερις τοπικές παραλίες απέχουν μόλις 300 μέτρα. Όλα τα δωμάτια έχουν βεράντα με θέα θάλασσα. Αυτά του δευτέρου ορόφου βλέπουν ολόκληρο τον κόλπο της Βασιλικής, ενώ του πρώτου ορόφου απολαμβάνουν την δροσερή και ήσυχη πλακοστρωμένη αυλή. Από όπου φαίνεται η αμμουδιά της Βασιλικής με τους λουόμενους και wind surfers. House Rules Captain's Studios takes special requests – add in the next step! Captain&#39;s Studios accepts these cards and reserves the right to temporarily hold an amount prior to arrival. Captain's Studios accepts these cards and reserves the right to temporarily hold an amount prior to arrival. The wifi was very bad, virtually nonexistent. The bed is somewhat unconfortable but you get used to it. The towels were only changed once during our 4-night stay. No toiletries. Great location. Easy access to bars, restaurants, etc. Internet and wifi was super bad. Bathroom was big and spacious. As a self catering facility provisions were lacking e.g no tea towel or scourer etc. Room was basic for the money. The Captain and his wisdom. They could focus on cleaning the rooms more often. Amazing location with beautiful sea view, the room was supplied with everything we need, the hosts are really friendly and helpful. 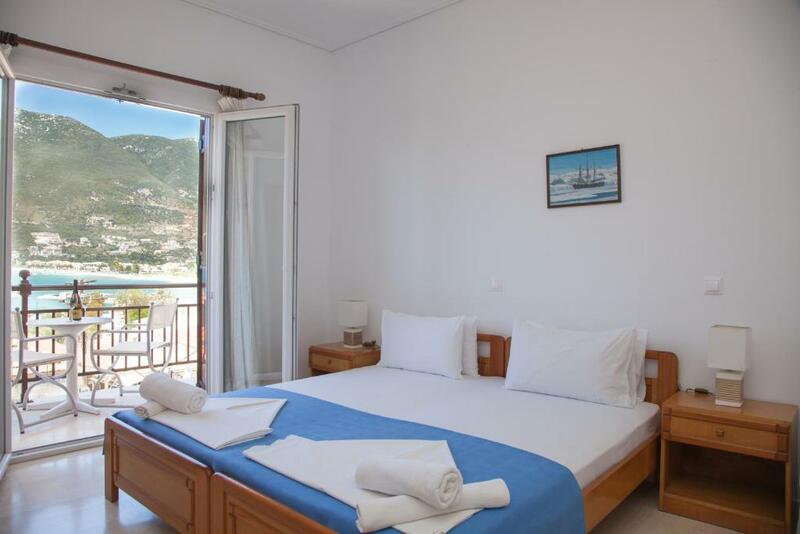 I would definitely recommend the hotel to others who are planning their trip to Vasiliki. The owners were superb. Always friendly, helpful and at our disposal if something needed.